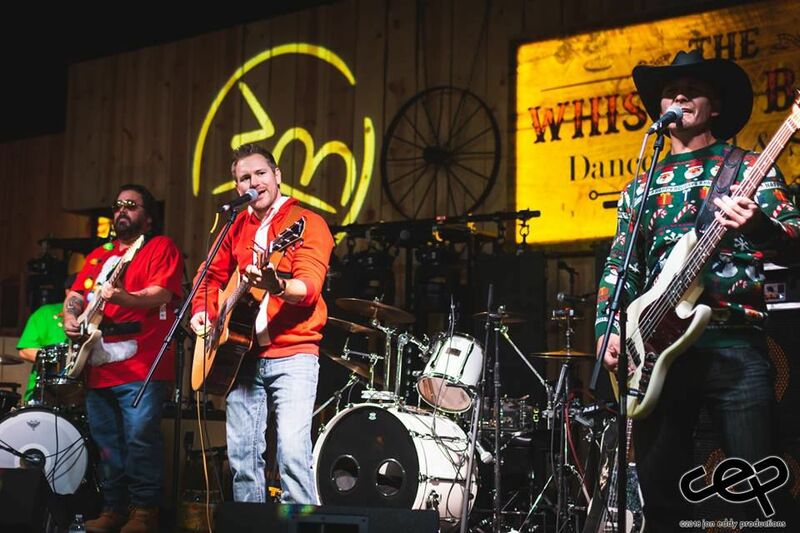 Tri-Lakes based band Latigo performs in early December at the Ugly Sweater Country Christmas party fundraiser at The Whiskey Baron Dance Hall & Saloon. Award-winning Tri-Lakes based music group Latigo averages weekly performances year-round at area bars, restaurants and special events, including this Dec. 7 performance at The Whiskey Baron. 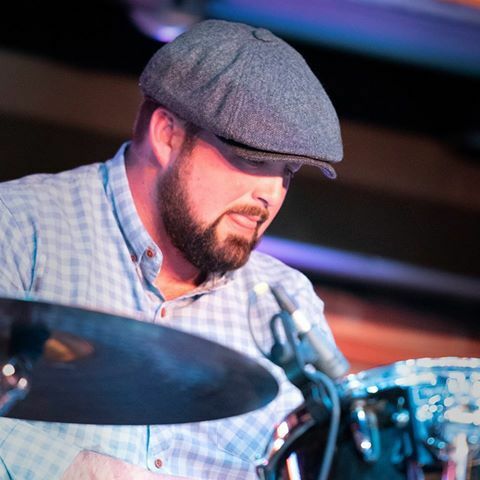 Drummer Tyler Donaldson of the popular Colorado Springs area country band Latigo. The popular Colorado Springs country band Latigo has a large local following, and they might also be headed for national notoriety this year. The group has had a growing following since its inception of performing locally as a “pro-level band,” said its founder Joe Donaldson, a music teacher and the band’s lead guitarist. However, there might be changes to that “local band” designation on the horizon, as the band plans to head to Nashville for a competition in the spring. Latigo’s additional members include Sean Blumhardt on vocals and guitar, Shawn Gillespie on bass and vocals and Tyler Donaldson on drums and vocals. All Pikes Peak region natives, born and raised, Donaldson said. Their talent and dedication in 2018 meant they received a combined 13 Colorado Country Music Awards. Donaldson’s goal when he started the group 11 or 12 years ago, when he “got the bug” to perform again after an earlier professional career but wanted to stay at home, was to gather the best of the best of music artists in the area. He also wanted to find a combination of people that gelled together in important ways. The four current members of the “hard country” band have clicked and something special is happening, according to Donaldson. He said the group members are “Nashville-quality players” with a shared professional drive, who expect a lot of themselves. They are also “all churchgoers,” which Donaldson shared is important to them. Latigo rehearses weekly in Donaldson’s cabin on the lake in Monument. The group will travel to Nashville in March to compete for a possible recording contract. While there, they’ll audition for Columbia Records and another couple of labels. They also hope to perform at The Bluebird Cafe, where many country stars have been discovered, including Garth Brooks. Local bars and restaurants, and state and county fairs where the group performs have told Latigo they’re “as good or better than any artist they have on stage,” Donaldson said. Donaldson toured as a professional musician for years before returning to Monument. He shared a stage with country greats Tim McGraw, Ricky Van Shelton, Trace Adkins, Boxcar Willie and many others over the years. Then, when ready to stop touring, he started his guitar business which he says he also loves, teaching people to play. 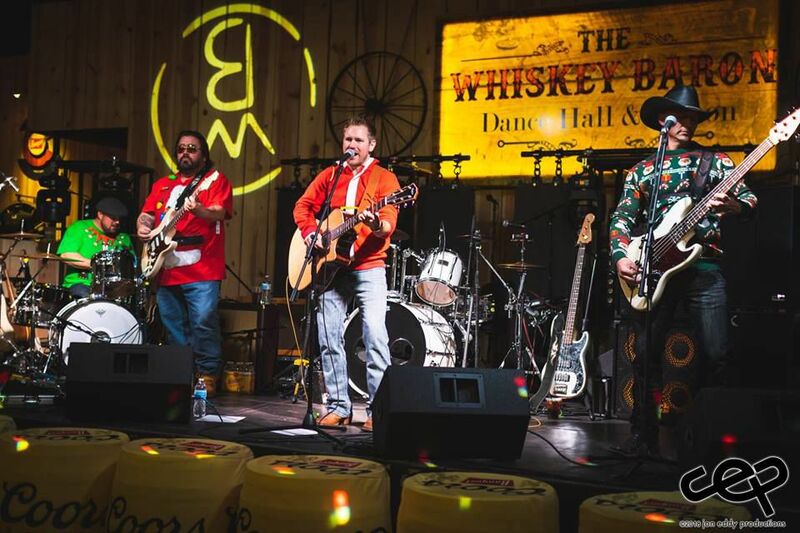 A product of “country music royalty” himself, Donaldson is the son of Merle Donaldson, who played in the 1940s with the Tex Williams band, known for bluegrass country western and country swing. Merle Donaldson and Williams, both from Ramsey, Ill., were the first recording artists to sell a million copies for Columbia Records, according to Donaldson. Later, his dad was a policeman who still played music locally in church. Under his father’s tutelage, Donaldson started playing guitar when he was 3, then professionally at age 11. He is now 56 and has won best CCMA guitar instrumentalist of the year for the past 10 years. The band is also proud of its selection as The Gazette’s 2018 “Best Band” in the area — of any musical variety. Latigo has its own particular style. “Ours is more modern country rock. We also throw in some traditional country in honor of my father and Tex,” Donaldson said. He added that they like to play a few songs older folks will recognize and the younger crowd enjoy that kind of retro music now, too. He admits that it gets a bit hairy “wearing all the hats” for the band at times. He takes care of all administrative tasks and bookings for the group. Although Donaldson said technical ability is important, he connects to more than the right notes when he talks about the power of music. The effect music has, he says, is universal, from Colorado to across the globe.